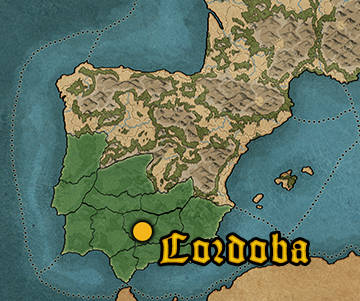 The Emirate of Cordoba stands tall; the Umayyad dynasty survives, defiant in the face of the Abbasid usurpers! After the death of the Prophet, peace be upon him, apostasy spread throughout the Islamic Empire in rejection of his successor, Abu Bakr - the first to be called 'Caliph'. 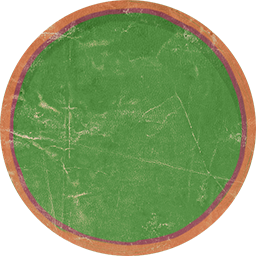 Abu Bakr dealt with this insurgence with brutal swiftness before embarking upon a vast war of conquest, extending the Empire's borders even further. The achievements of the first four caliphs (Abu Bakr, Umar, Uthman and Ali) earned them the epithet 'Rashidun', meaning 'rightly chosen'. When Uthman was murdered, the Empire began to destabilise despite Ali's efforts, resulting in the first Islamic Civil War (or Fitna). After much fighting, arbitration and finally Ali's murder, the Umayyad dynasty ascended, creating deep divisions in the Muslim community. The caliphs who followed did not enjoy the title of Rashidun and suffered much of the instability of the Fitna period. Abd-al Rahman, son of an Umayyad prince, fled to Iberia, declared the Umayyad Caliphate revived, overthrowing the previous governor of Al-Andalus at the Battle of Musarah in AD756. From his capital in Cordoba, the new Emir openly defies the eastern Abbasids. His is an independent nation that does not answer to Damascus and wishes to unite Al-Andalus as the rightful heirs to Islam. No apostates to the north nor usurpers to the south can defeat that that most noble of purposes! When he deems it necessary, the nobles are the wisest and most qualified to counsel their ruler in matters of state. The sons of Umayya originally came from the holy Arabian city of Mecca; their noble Caliphate has since spread across the world and into Christendom.